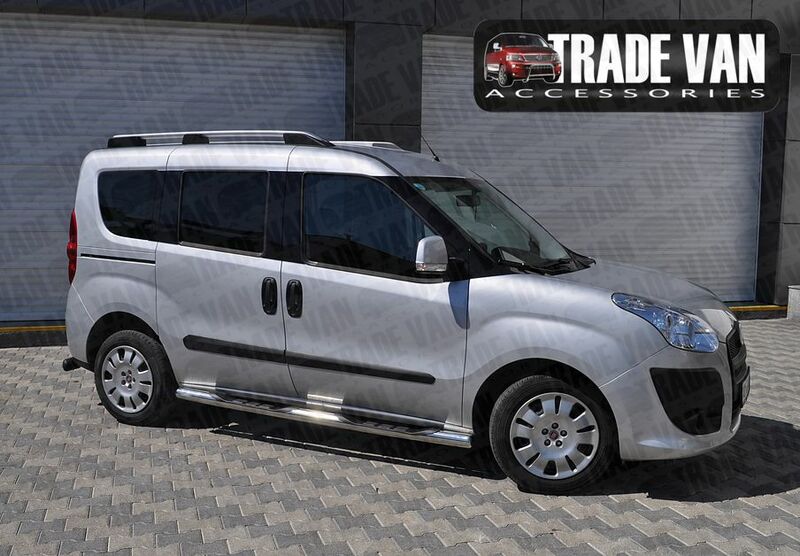 The price includes a pair of Side Steps with 4 Cut-out Plastic Steps for Fiat Doblo 2010-on SWB Short Wheel Base Models that fix to chassis frame mounting points. Our Side Bars and Steps are Hand Polished to a mirror finish. photo below shows the earlier tube end profiles please note the new style upgrade end profiles in the first photo. Excellent value for your Fiat Doblo Van & Mylife, Active, Eleganza MPV Short Wheel Base SWB models giving an excellent finishing touch. Click the button below to add the Fiat Doblo Side Steps Bars VIPER BB005 Styling 76mm SWB 2010+ to your wish list.